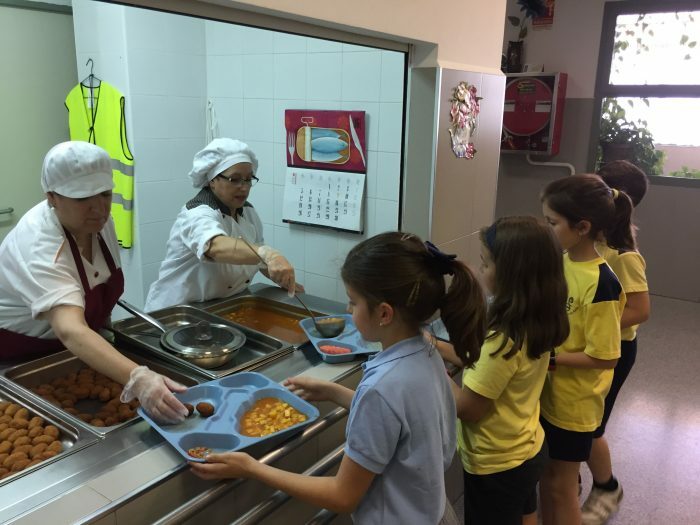 In Virgen de Gracia School of Granada we have a dining service with our own kitchen. The lunch offer is adapted to the needs of each child and each family, paying special attention to allergies and food intolerances. Parents have the possibility of hiring the dining service only the days of the week that the they need. In addition to that, if at a specific time your child needs to use the dining room, he will be able to do so. How are the menus in the school dining? In compliance with the requirements of the WHO and the NAOS strategy, our Dietetics and Nutrition Department prepares and revised all our menus. National and international gastronomic days are celebrated on a yearly basis. What information do I receive from the dining room menu? The school sends the monthly menu as well as a report elaborated by ARAMARK physicians on allergies and intolerances. It will be also published on our website. Besides, we provide families with individual reports on their children’s behaviour in the school dining. Families have the possibility to attend informative talks about how the dining room works, as well as to receive information on healthy menus. The lunch time begins with the end of the students’ school journey and ends at 15:30. It is then when the extracurricular activities we have in the school start. 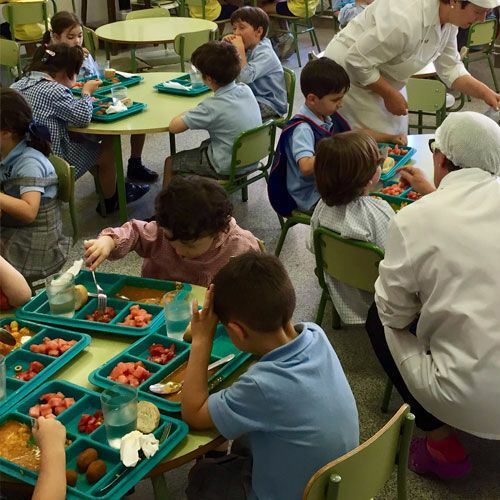 Once the students finish eating, we offer activities outside the dining room that are part of the educational project “Healthy Living” of ARAMARK educational team. These activities are aimed at making the students learn the benefits of a healthy life. How do I contact the person responsible for the dining room? The person in charge of the dining room is Ms. AngustiasNarváez, whose schedule for questions related to the dining room is set on Fridays from 9:00 am to 10:00 am. Click here to download this month menu.